An 11-year-old boy has been killed after being struck by a bus on Dhaka's Pragati Sarani. The accident took place near Jamuna Future Park in the Baridhara area around 6:45am on Thursday, said Kamruzzaman, the chief of Bhatara Police Station. The deceased has been identified as Atik, a madrasa student. Police could not provide further details regarding the victim. A bus struck Atik near Jamuna Future Park. Locals rushed him to Kurmitola General Hospital, where doctors declared him dead, OC Kamruzzaman told this agency. Atik was on his way home for the Durga Puja break, the OC said, citing the madrasa authority and victim's family. 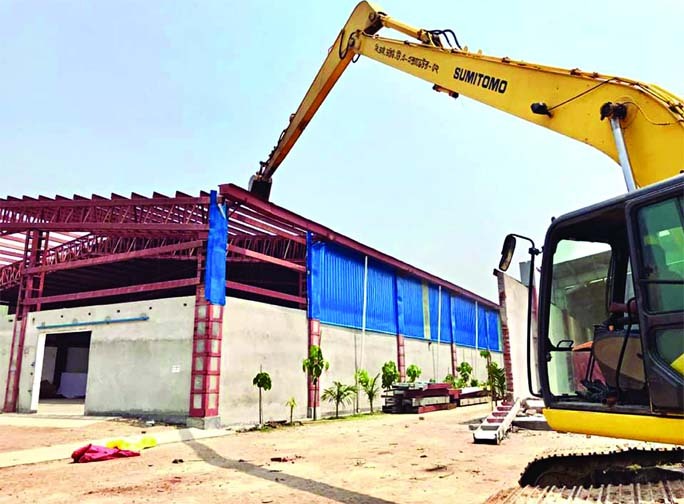 BIWTA dismantled about 98 illegal establishments including factories built at Uttara-10 Sector's Saheb Ali Madrasa area near Turag River and also realised Taka 75 lakh for auctioning goods and construction materials on Thursday.